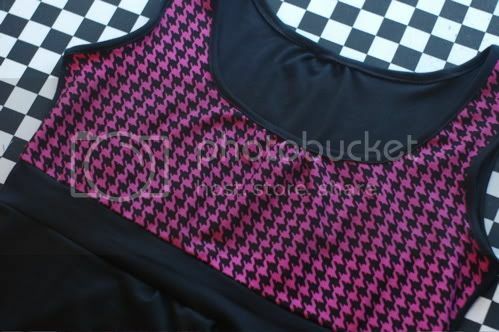 Craftster Community > CLOTHING > Clothing: Completed Projects: General (Moderator: meleriffic) > Pink and black houndstooth! Made this XL shirt from scratch today! 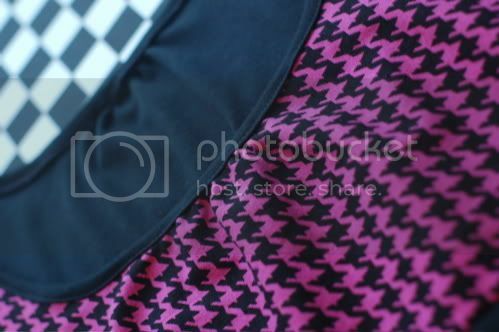 Re: Pink and black houndstooth! 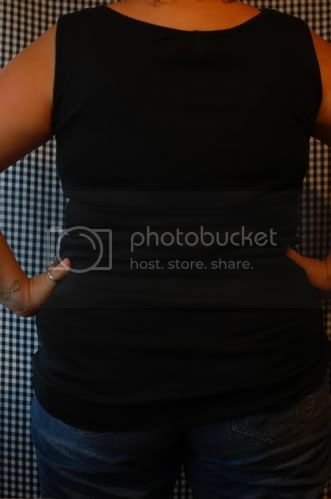 that is a great and really flattering shirt. nice job! Great work, perfect fit, lovely cloth. Thanks for sharing! Adopting second "special needs" international baby, wanting cloth diapers to help cut expenses, will ===SWAP for cloth diapers===. 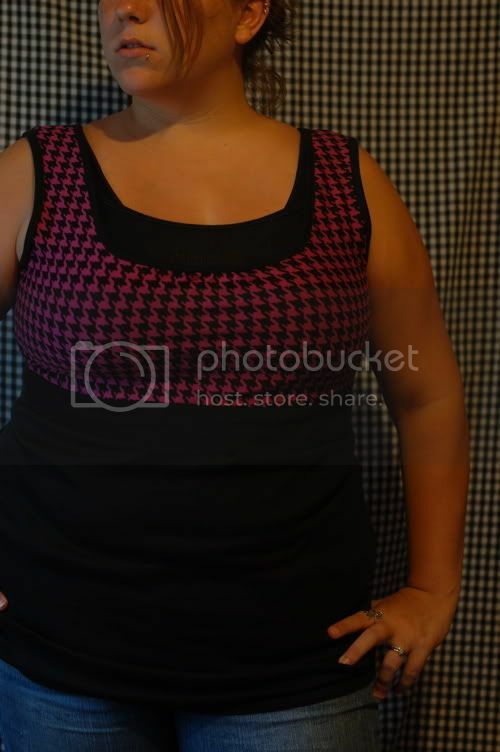 That's a cute top- love the houndstooth with it! that's a cute style. I like the placement of the houndstooth, it adds a lot of interest. This is great! Really flattering.